Along with the increasing incidence of obesity and diabetes in Western countries, nonalcoholic fatty liver disease (NAFLD) has also become a growing problem. Although its true prevalence is unknown, some estimates suggest NAFLD may already affect as many as one-third of American adults. NAFLD describes two conditions affecting people who drink little or no alcohol. The first is a mild condition, while the second represents its progression to a more severe disease. 1. Fatty liver, also known as steatosis, is an accumulation of fat in the liver that typically does not cause liver damage. 2. Nonalcoholic steatohepatitis (NASH) is the accumulation of fat in the liver accompanied by hepatic inflammation. Fibrous tissue can form with NASH, which can progress to cirrhosis or liver cancer. Nonalcoholic fatty liver disease affects more women than men and is found in all age groups, including children. Nonalcoholic fatty liver disease is typically diagnosed in middle-aged people who are overweight, diabetic and who have elevated cholesterol and triglyceride levels. A person is considered to have a fatty liver when the fat makes up at least 10% of the liver. The cause of NAFLD is unclear. The most prominent reasons for accumulation of fat in the liver are significant weight gain and diabetes mellitus. 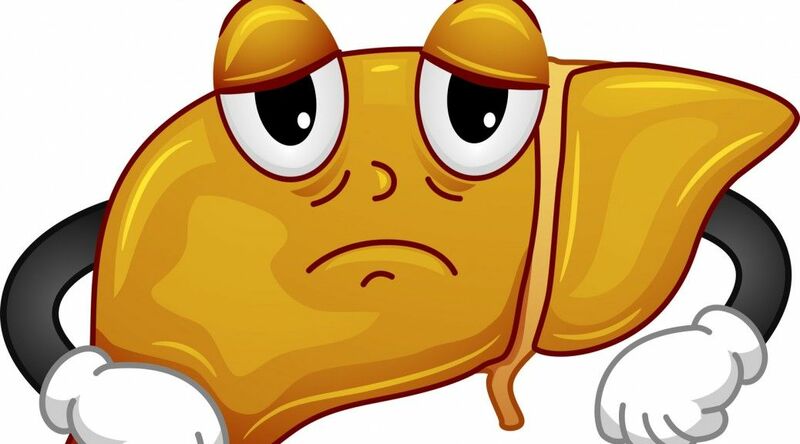 Fatty liver can also occur with poor diet and certain illnesses, such as tuberculosis, intestinal bypass surgery for obesity, and specific drugs such as corticosteroids, or heavy alcohol use. Eating fatty food by itself does not produce a fatty liver. · Obesity – The risk of NAFLD increases with every pound of excess weight. More than 70 percent of people with NASH are obese, having a body mass index of 30 or higher. · Hyperlipidemia — High levels of triglycerides or low levels of high-density lipoprotein (HDL) cholesterol can cause hyperlipidemia. As many as 80 percent of people with NASH have elevated cholesterol and/or triglyceride levels. · Diabetes – This common metabolic disorder is characterized by resistance to insulin, the hormone that regulates the amount of sugar in your blood. Recent studies have demonstrated insulin resistance to be the primary trigger for fatty liver development. Statistics show that up to 75 percent of people with NASH also have diabetes. A hormone released by the pancreas, insulin is dispersed into the bloodstream in response to elevated blood sugar (glucose) levels. By pushing glucose out of the bloodstream and into the body’s cells, insulin keeps blood glucose levels from becoming too elevated. When these cells receive glucose, they convert it to energy. When glucose is not metabolized properly, (when the cells are insulin-resistant), energy production is diminished, resulting in fatigue. Insulin resistance prohibits glucose from entering the cells, causing it to accumulate in the blood. In an attempt to reduce the glucose in the blood, the body signals the pancreas to produce and release more insulin. High blood insulin levels increase triglycerides, which deposit fatty acids in the liver. Being overweight, living a sedentary lifestyle and eating a diet rich in sugar and fat all promote insulin resistance. In extreme cases of insulin resistance, diabetes mellitus develops. Approximately 70 percent of diabetics have some form of NAFLD, and 5 to 20 percent of people with diabetes have cirrhosis due to NASH. Independent of fatty liver disease, diabetes in itself is believed to be a risk factor for the development of cirrhosis. · Weight loss and exercise – A diet and exercise program will reduce the amount of accumulated fat in the liver. The most effective diet is high in fiber, vitamins and minerals, while also being low in calories and saturated fat. Safe weight loss must occur slowly, as a loss of more than two pounds a week may accelerate liver disease progression. Regardless of one’s current weight, a healthy diet and daily physical activity will reduce inflammation, lower elevated liver enzyme levels and decrease insulin resistance. · Diabetes control – Strict management of diabetes with diet, medications or insulin lowers blood sugar, which may prevent further liver damage. It may also reduce the amount of accumulated fat in the liver. 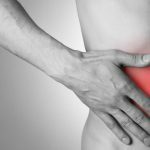 · Cholesterol control – Controlling elevated levels of cholesterol and triglycerides with diet, exercise and cholesterol-lowering medications may help stabilize or reverse nonalcoholic fatty liver disease. · Avoid toxic substances – With NAFLD, especially the more severe version NASH, alcohol elimination is imperative. It is also important to avoid medications and other substances that can cause liver damage. Talk to your doctor about what to avoid. · Antioxidants – Vitamins E and C, alpha-lipoic acid and N-acetyl cysteine are antioxidants that may reduce liver damage caused by oxidation, a process where unstable oxygen molecules damage cell membranes. · Milk Thistle – Scientific studies suggest that this herb’s chief constituent aids in the protection, healing and repair of the liver. 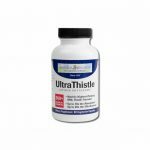 With physician permission, seek a high quality, highly absorbable milk thistle for best results. · Omega-3 fatty acids – Found primarily in cold water fish, fish oils, flax and flaxseed oils, and walnuts, omega-3 fatty acids help protect the liver and reduce inflammation. Due to their close relationship, recovering from a fatty liver is identical to the steps necessary to combat insulin resistance A commitment to health through instituting lifestyle changes is our nation’s best hope for reducing the occurrence of nonalcoholic fatty liver disease. Patrick, Lyn, Nonalcoholic fatty liver disease: relationship to insulin sensitivity and oxidative stress. Treatment approaches using vitamin E, magnesium, and betaine, Alternative Medicine Review, 2002, 7(4):276-291.
www.liverdisease.com, Nonalcoholic fatty liver disease (NAFLD) and nonalcoholic steatohepatitis (NASH), Melissa Palmer, MD, 2004.
http://www.liverfoundation.org/, What is NAFLD/NASH? (Nonalcoholic Fatty Liver Disease/Nonalcoholic Steatohepatitis), The American Liver Foundation, 2003.
www.mayoclinic.com, Nonalcoholic fatty liver disease, Mayo Foundation, 2/21/2005. www.medicinenet.com, Body Fat, The Silent Killer: Obesity Can Lead to Fatty Liver, Dennis Lee, MD, 4/6/05.